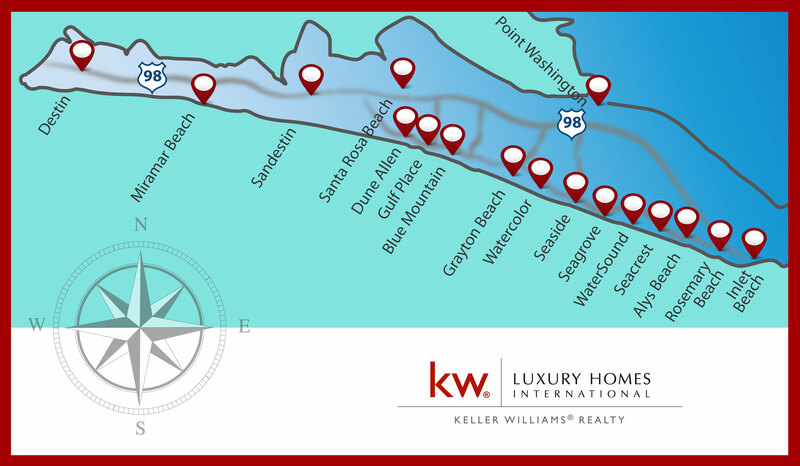 30A Real Estate Search | 850.583.1640 | 30A Real Estate | Keller Williams Realty | Alys Beach, Seaside, WaterColor, Rosemary Beach, Grayton Beach, Santa Rosa Beach, WaterSound, and all 30A Areas. Search all homes & property for sale in 30A Real Estate! Click any location to instantly search homes for sale! Click on the links below to search real estate for sale in 30A Florida! Talk to Team Baranowski Now! Have a question? Give us a call at (850) 2591788, or you can click our photo for more options to call or email and we will contact you right away.